These EX style vacuum bags fit Eureka Excalibur, PowerTeam, and Home Cleaning System models 6978, 6982, 6983, 6984, and 6993. One package includes three genuine dustbags. 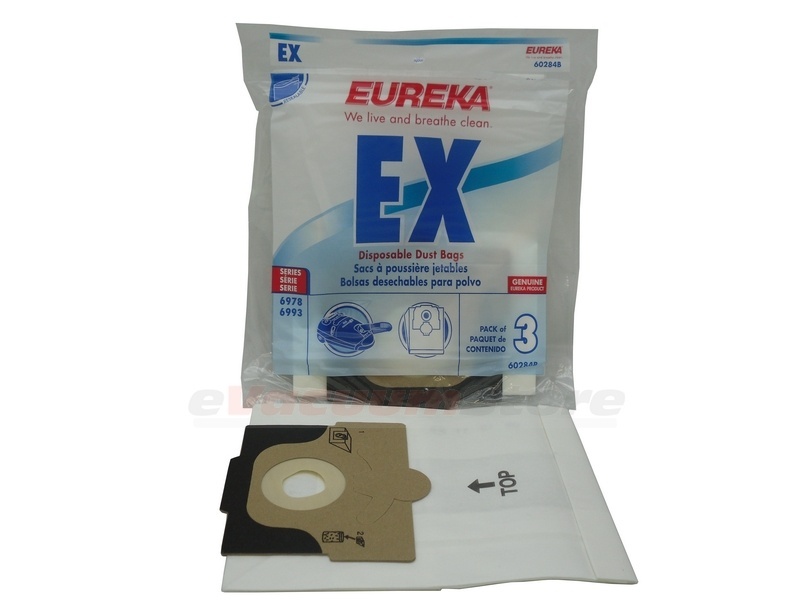 We carry a wide selection of genuine and generic Eureka vacuum cleaner bags for every model. For more information, or to place an order over the phone, please call (866) 972-8227.